What began as a steamy weekend fling is about to change their lives forever. When Lindsay receives a mysterious invitation to live out her most illicit fantasies, she thinks it's her best friend playing a joke. Little does she know, the invitation is from someone else. Someone who knows her deepest desires…and intends to fulfill them. Erik is a man of many secrets, and he intends to keep it that way. When he invites Lindsay to his mansion, he thinks it's just for a steamy weekend fling. But from their first night together, there's an inexplicably deep connection that shakes him to his core. And with Lindsay in his arms, he feels both thrilled and unnerved. As Lindsay brings his fantasies to life, he's unwilling to let her go. But can he tell her how he knows her deepest desires, and will she stay with him if she learns the truth? 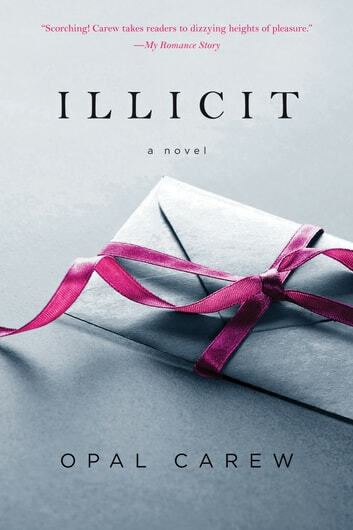 You're invited…to explore your most forbidden desires with ILLICIT from author Opal Carew. I was looking forward to reading this book as the preview looked interesting and the authors other books have always proved to be entertaining. However this book was a massive let down, it was completely unrealistic, even for a non-fiction, and the story line was all over the place. I was severely disappointed with this book and it is nowhere near worth £10 to read, even if it was free i still wouldn't read it. Proceed at your own risk.